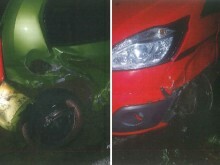 This is the result of a woman drink-driving in the early hours of New Year’s Day. Police responding to an unrelated incident discovered the white Vauxhall Insignia in a ditch on the B2201 Selsey Road at Donnington, near Chichester, about 4.42am on 1 January. On closer inspection, officers noticed the interior lights were on and a woman was in the driver’s seat. She was identified as Lorraine Smith, an assembler, of Blakemere Crescent, Portsmouth, Hampshire. The 49-year-old was helped from her car and was unsteady on her feet. After failing a roadside breath test, she was arrested and charged with driving with 65mcg of alcohol per 100ml of breath in her system. The legal limit is 35mcg. In police interview, Smith fully admitted to the offence and claimed she had swerved to avoid an animal in the road. At Hastings Magistrates’ Court on 15 January, she was disqualified from driving for 18 months. She was also ordered to pay a £120 fine, £85 costs and a £30 victim surcharge. 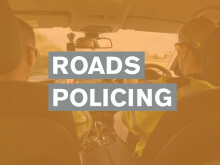 Smith was arrested as part of Surrey and Sussex Police’s Christmas crackdown on drink and drug-drivers, which ran from 1 December 2018 to 1 January 2019. A total of 240 arrests were made in Sussex. Of these, 82 have since been convicted. The remaining have either been charged, released under investigation or released without charge. Trudy Walter, 48, a care assistant, of MacQuarie Quay, Eastbourne, was arrested in Pacific Drive, Eastbourne, on 20 December and charged with driving with 73mcg of alcohol per 100ml of breath in her system. At Hastings Magistrates’ Court on 23 January, she was disqualified from driving for 18 months. She was also ordered to pay a £260 fine, £85 costs and a £30 victim surcharge. Mark Freeman, 57, unemployed, of The Ridge, Hastings, was arrested in Old London Road, Hastings, on 20 December, and charged with driving with 65mcg of alcohol per 100ml of breath in his system and driving with no insurance. At Hastings Magistrates’ Court on 23 January, he was disqualified from driving for 18 months. He was also ordered to pay a £400 fine, £85 costs and a £40 victim surcharge. David Cele, 38, a chef, of Linley Drive, Hastings, was arrested in Queens Road, Hastings, on 23 December and charged with driving with 42mcg of alcohol per 100ml of breath in his system. At Hastings Magistrates’ Court on 23 January, he was disqualified from driving for 12 months. He was also ordered to pay a £167 fine, £85 costs and a £30 victim surcharge. Ricardo Camara, 42, a chef, of Midhurst Road, Eastbourne, was arrested on the A22 at Eastbourne on 23 December and charged with driving with 84mcg of alcohol per 100ml of breath in his system. At Hastings Magistrates’ Court on 23 January, he was disqualified from driving for 22 months. He was also ordered to pay a £150 fine, £85 costs and a £30 victim surcharge. 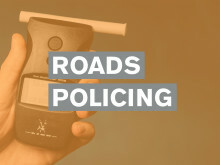 Samuel Riggs, 21, a carpenter, of Heathfield Gardens, Robertsbridge, was arrested on the A259 at Pevensey on 24 December and charged with driving with 114mcg of alcohol per 100ml of breath in his system. 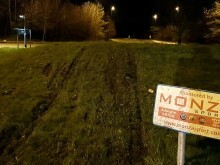 At Hastings Magistrates’ Court on 23 January, he was disqualified from driving for 12 months and sentenced to a 12-month community order, requiring him to carry out 150 hours of unpaid work. He was also ordered to pay £85 costs and a £85 victim surcharge. Malcolm Chalmers, 60, retired, of Spring Lane, Burwash, was arrested in Station Road, Wadhurst, on 24 December and charged with driving with 100mcg of alcohol per 100ml of breath in his system. At Hastings Magistrates’ Court on 23 January, he was disqualified from driving for 24 months and sentenced to a 12-month community order, requiring him to carry out 80 hours of unpaid work. He was also ordered to pay £85 costs and a £85 victim surcharge. Xun Lin, 46, a restauranteur, of Regency Close, Uckfield, was arrested on the A22 at Uckfield on 25 December and charged with driving with 56mcg of alcohol per 100ml of breath in his system. At Hastings Magistrates’ Court on 23 January, he was disqualified from driving for 36 months. He was also ordered to pay a £280 fine, £85 costs and a £30 victim surcharge. Details of people convicted as part of the campaign will be published on our website. 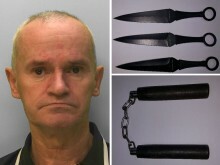 He was more than three times the legal limit when he was arrested in Goring. They were arrested as part of our Christmas campaign to save lives and target offenders. The motorist foolishly decided to drive home after drinking at his work Christmas party. While the operation has concluded, we will still respond to reports of drink and drug-drivers 365 days a year. More than 100 people have been arrested for drink or drug-driving in Sussex this Christmas. More than 70 drivers have been arrested in the first eight days of the Christmas crackdown.